Five arm Flemish style pendant dating from the latter half of the 20th century. The large sphere is designed to reflect as much light as possible. 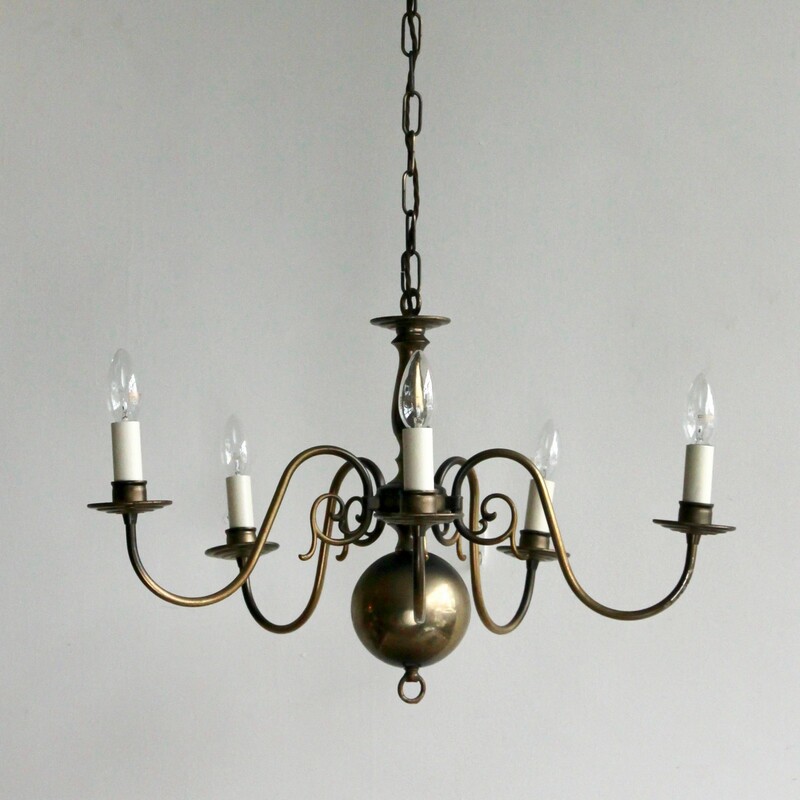 Supplied with chain and ceiling rose.